While other quangos have been culled, the government shake-up of structures has handed the newly-formed YPLA a larger than expected role. Christine Tyler explains what its future relationship with schools, colleges and LAs is likely to be. Since its difficult birth on 1 April 2010, the Young People’s Learning Agency (YPLA) has been forced to demonstrate great survival skills. A change of government can destabilise a newly-emerging quango but in this case the reality has actually exceeded imagination. The YPLA and its sibling Skills Funding Agency (SFA) were conceived as successors to the Learning and Skills Council (LSC) as a result of the Apprenticeships, Skills, Children and Learning Act 2009. The YPLA was originally intended to provide a slimmed-down service to support providers of 16-19 education and training and to fund learners with learning difficulties and disabilities (LLDD) aged 16-25. The YPLA’s role in supporting authorities to commission suitable education and training for 16-19 year-olds was originally seen as advisory and hands-off. However, in working with LAs that were taking over responsibility for the education and training of around 1.6 million 16-19 year olds plus a £7 billion budget, this was never going to be a small task. The biggest change to the agency’s role so far has been the recent announcement that it will be funding general FE colleges, sixth form colleges and training providers directly. This has arisen from a government desire to simplify and streamline structures and processes relating to 16-19 funding and has removed the need for local authorities to manage contract and grant arrangements with these providers. School sixth forms will continue to be funded by LAs. Coupled with the dropping of the requirement for local authorities to form sub-regional groups and regional planning groups, the role of the YPLA as the arbiter of balance between providers is clearly heightened. The detailed planning information that the YPLA has already provided to local authorities to inform decisions on commissioning will now be discussed with individual providers, rather than with partnerships. The changes are, unsurprisingly, unpopular with the Local Government Association (LGA) which represents local authorities. It claims that the decision to pass responsibility for funding to the YPLA does little to simplify the system or deliver savings as it still means that many providers will be dealing with the Skills Funding Agency for post-19 funding as well as with the YPLA. The Association of Colleges (AoC) believes that the original local authority arrangement was expensive, costing around £60 per learner to administer, whereas a centralised system like that in Scotland reduces costs to £15 per learner. ASCL’s view was that the National Commissioning Framework was unduly cumbersome and bureaucratic and we are pleased to see some simplification and streamlining of the planning and commissioning process. We have stressed to the YPLA and the DfE that 16-19 planning is a collaborative process involving schools and colleges as active partners – they must not be dictated to by local authorities. The 14-19 area partnerships must be essential components of the revised system. The YPLA’s role on academies has grown exponentially since Michael Gove’s post-election pronouncements expanded the programme. It is supporting the academy programme and has responsibility for funding them directly. There are interesting anomalies between the earlier academies established by the Labour government in order to support failing schools to meet local needs and the new coalition academies (familiarly labelled ‘converters’) that recognise ‘outstanding schools’ by giving them a greater degree of independence. It will be the YPLA’s task to balance these contrasting demands. Direct financial support for young learners comes mainly through the provision of the Education Maintenance Allowance (EMA). It is reassuring to see that the debacle of two years ago – when the EMA was so badly administered that many young people gave up their courses because of the funding delays – has been replaced by an efficient and timely service. The former LSC suffered damage as a result of the earlier EMA difficulties; the current YPLA is likely to do everything it can to ensure this will not be repeated. There has been a general tightening up of time limits for initial applications and the submission of claims and the bonus system has been dropped. The post-16 sector was gradually coming to terms with the complexities associated with raising the participation age (RPA) to 17 by 2013 and to 18 from 2015. Now it appears that although RPA is statutory, the government prefers to move to full participation through other less punitive means and will therefore not be enabling this part of the 2010 act. There are understandable concerns that possible cuts to funding will prevent the original intentions from being realised even though current ministers have indicated a wish to see participation increase. Indeed, the position and maintenance of EMAs may be affected in these delicate negotiations. The changes in funding streams for colleges, where the local authority has been replaced by the YPLA, may affect quality assurance as well. It seems unlikely that sixth form colleges will be funded by one organisation (the YPLA) yet performance-managed by another (the LA). At the moment, we await information on this anomalous position. However, the withdrawal of the YPLA’s carefully crafted and long awaited Quality Assurance System (QAS) guidelines, coupled with alterations and delays to the Framework for Excellence performance indicators announced this summer, suggest that changes are afoot. FE Focus sees FE as gaining political clout in the government’s move to boost the skills agenda. Two consultations on future skills policies were announced in July and an additional minister, John Hayes, has been assigned in the DfE to look after 16-18 apprenticeships and careers advice. He will now cross over the two departments, as he joins this with his existing role of minister for skills and lifelong learning in BIS. This can only add strength to the position of post-16 providers and ASCL will be responding to the consultations on behalf of members. 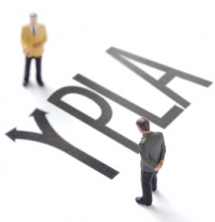 YPLA responsibilities will no doubt change again as a result of the consultations’ outcomes. Meanwhile, colleges and schools will need to ensure that they are working collectively in their 14-19 partnerships in order to plan a sensible range of provision. Members should have access to the YPLA’s local data analysis of employment trends and needs in order to help them and are advised to request it from their LA if it has not been issued through the partnership. At a recent YPLA/ASCL seminar, the YPLA representative made it explicitly clear that the YPLA is definitely not the LSC. Its growing responsibilities for young people indicate that it seems set to stay and prosper.